The concept of a court in the underworld only fully developed in the Middle Kingdom, when it was believed that the deceased would stand before Osiris, as final judge, and answer charges. With Osiris were his devoted wife Isis, her sister Nephthys, Thoth, the god of Wisdom, and forty-two judges of the dead. Before this impressive court, the deceased would swear innocence by what is known as the ‘negative confession’. He would declare that he had not stolen food, spoken evil or falsehood, robbed the dead, harmed anyone, or slain a sacred animal; nor was he arrogant, fraudulent or blasphemous, etc. 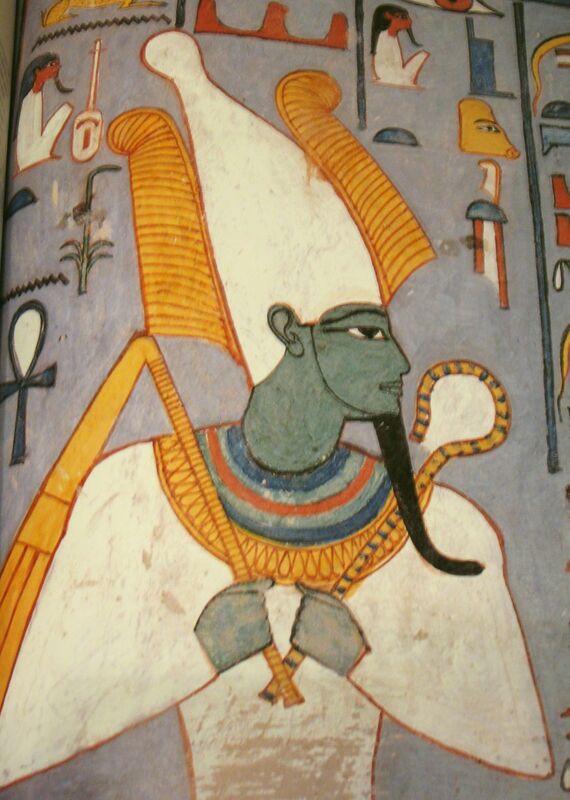 Osiris was usually depicted seated beneath a canopy in mummified form, as befitted a legendary ancestor. 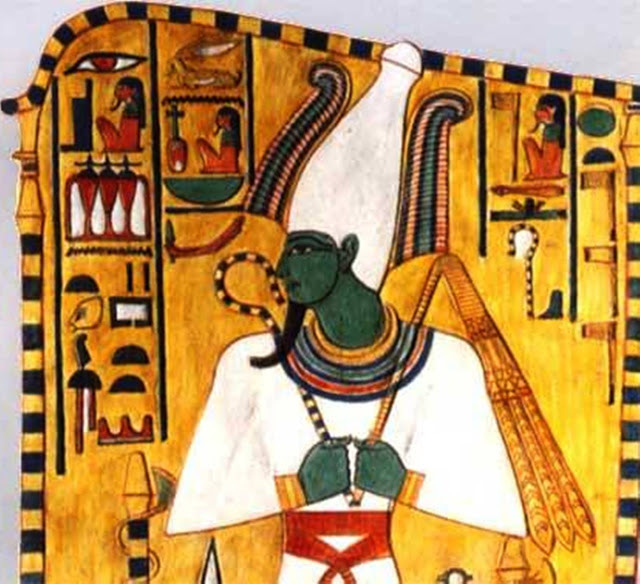 Ilis face was green (the colour of the rebirth of the land) or dark (like a mummy), as befitted a legendary ancestor. On his head was the tall white crown. In his hands were his sacred emblems, the crook and the flail. 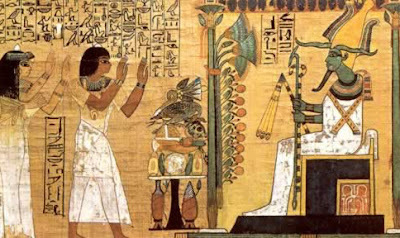 The tomb of Haremhab shows that after completion of the negative confession, the ibis-headed Thoth watched over the weighing of the heart of the deceased against Maat, the feather of truth, and recorded the verdict. Those who failed were condemned to eternal darkness, hunger and thirst, or were hurled to a ferocious animal the ‘eater of hearts’. Those who led a blameless life gained access to the afterlife; this was sometimes believed to lie west of Abydos, and sometimes conceived of as among the ‘Shining Ones’ in heaven.